The recent 2002 Census Bureau Divorce Statistics suggest that 50% of all married couples in US will be seeking a Divorce Attorney. With statistics like these, what can you do to help safeguard your own marriage from a divorce? Marriage Preparation can help you and your spouse-to-be identify any possible issues you may have and equip you with the tools to cope with them before they turn into the "irreconcilable differences" which could lead to a divorce. Rev. 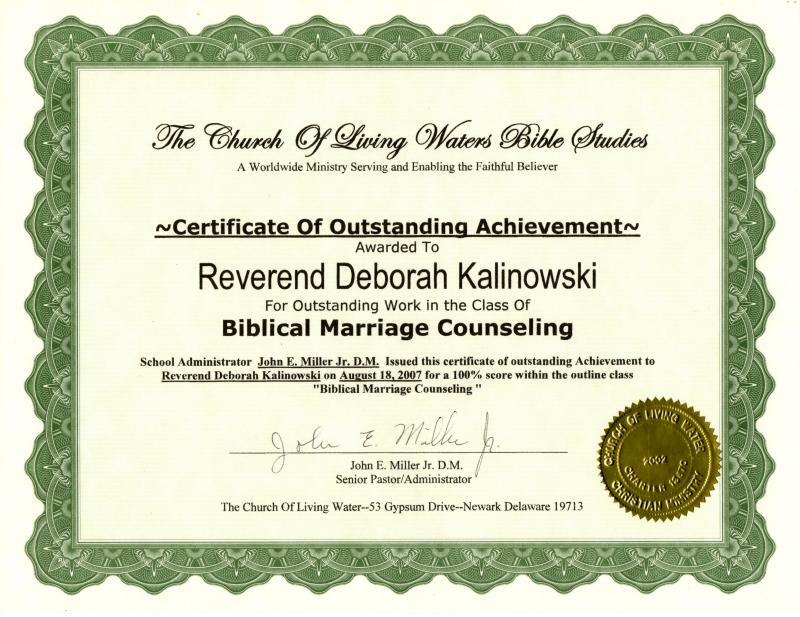 Deborah Kalinowski is available to provide Marriage Preparation sessions to engaged couples. 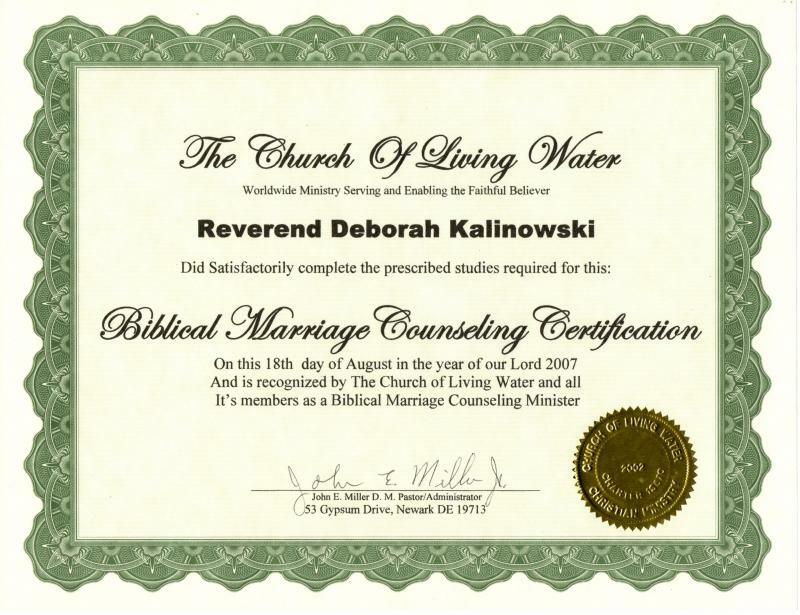 She has completed the Marriage Life Counseling Course from The Church of Living Water School of Bible Studies in Newark, DE. Along with her Biblical Marriage Counseling Certification, she also received their Outstanding Achievement Award for obtaining a perfect score on the exam. SPECIAL OFFER - Every couple who completes 3 or more sessions of Marriage Preparation with Rev. Deborah Kalinowski will receive $100.00 off their wedding ceremony package (except "No Frills" Wedding) from Weddings On Wheels®!